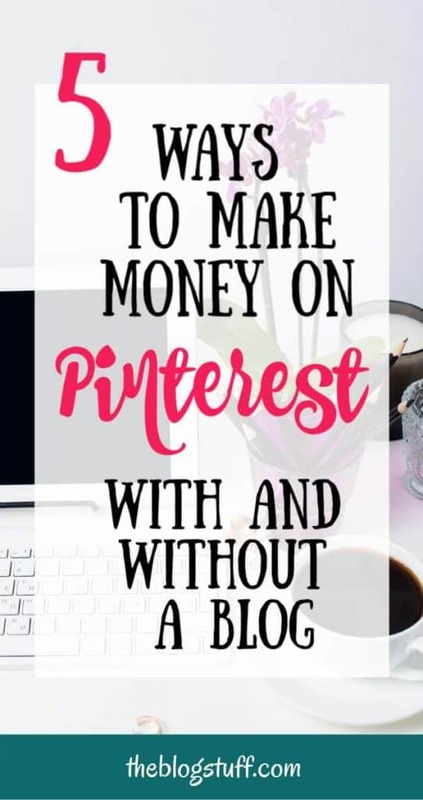 So you want to know how to make money with Pinterest and are wondering if is possible? 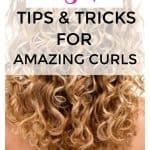 Pinterest is an awesome platform full of possibilities where you can make money using your skills or learning new ones. Whether you want to make a bit of money on the side or even enough to leave your job, Pinterest could just be the thing for you. If you think about it, technology has made the world a global village and created thousands of lucrative jobs, so why not take advantage of it and use the resources it offers? * This page contains affiliate links. 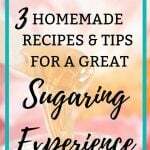 To find out more visit theblogstuff disclosure policy. With over 70M+ users and 2.5 billion views daily, Pinterest is not only a leading social media network but also a lucrative platform for freelancing jobs. Well, it is easy and understandable for you to underestimate the potential of this network on income generation matters. 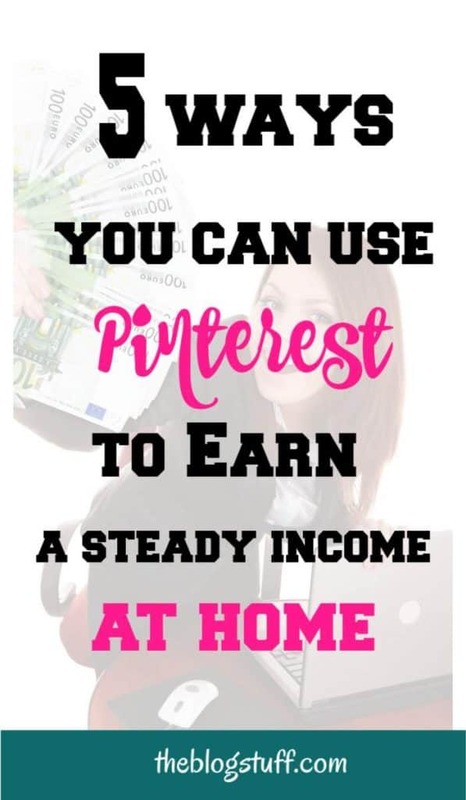 However, with many people perceiving Pinterest as a simple photo-sharing network, you can easily seize dozens of income generating niches and make real money from it. So, if you want to accomplish your California dreams find out how to make money blogging on Pinterest. 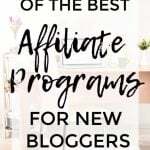 1.2.1 Do You Need to Have a Blog to Post Your Affiliate Links on Pinterest? How can I earn money on Pinterest? 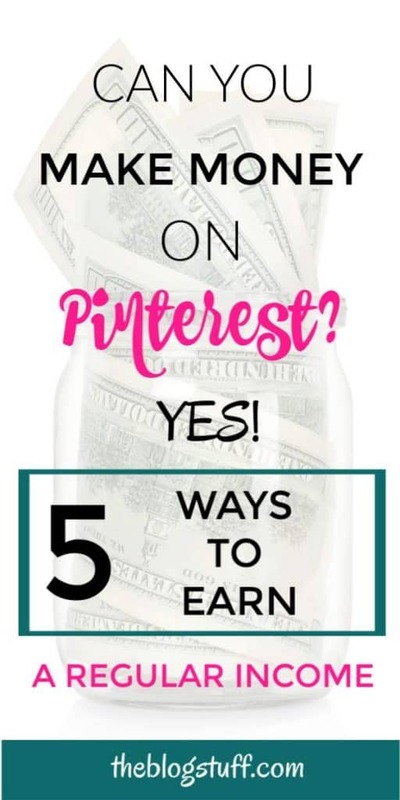 These are just some of the ways you can use to create a substantial income on Pinterest. Obviously is going to work better and faster if you already have a blog. If you don’t have a site you can still use some affiliate tactics as I explain below. Believe me when I say that understanding how Pinterest works is not a cake walk and that not everyone finds it thrilling. Most companies and some high profile bloggers are sometimes too busy to give a thought about Pinterest learning. So, they opt to outsource and here is where you chip in as a virtual assistant. There is a common misconception that you must be an expert designer to become a Pinterest virtual assistance; seriously that’s not entirely true. Well, a coordinated color taste, design layout, and font styles is an added advantage, however, this is a skill you can personally acquire through constantly using this platform. With the demand for Pinterest virtual assistants souring higher each day, your upbeat skills will be in high demand. Trust me; with many companies looking for private Pinterest managers to hire, you could land yourself a lucrative contract. There are many Pinterest enthusiasts and experts that are making good money working as Pinterest virtual assistants. This could be your job too if you have the skills! As a Pinterest virtual assistant, you will have an opportunity to assist your clients to build their accounts in a number of ways including; brand styling, managing their Pinterest profiles and group boards and lastly organizing and updating their Pinterest portfolio. You will need to perfect your keyword research, as you may be in charge of offering your clients with critical advice on matters relating to the content creation, and publishing. Keyword analytics would come in handy for this task. If you are not well versed on Pinterest keyword research there are many articles online that will teach how to do it. On the other hand if you don’t want to hop from article to article and rather have all the information in one place, taking an online course is the way to go. It will save you a great deal of time and frustration. As a virtual assistant you could also offer other services on Pinterest that are non-Pinterest related. Think about your skills or what are you good at and offer those services through Pinterest. If you are a beginner and don’t know what affiliate marketing is, let me explain it in a simple way. An affiliate recommends or mentions products on their blog/site from companies or individuals. Every time someone buys through your link you get a commission. With the internet loaded with thousands of affiliates, achieving your targeted sales can be a wild goose chase. However, if you know where to find and how to capture the attention of potential shoppers the whole things becomes enjoyable. Affiliate marketing works best when you have significant website traffic. Not enough traffic yet? 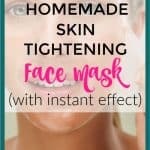 This is where Pinterest can help. Check how to use Pinterest for your blog to get more traffic. If you are a novice blogger it will take longer to start making commissions but with perseverance you will get there. You need to commit yourself to regular pinning to attract visitors to your site where they can read your article and click on your links if they are interested on what you are offering. At this stage a pinning scheduler like Tailwind would be helpful to ensure pinning consistency. Don’t know what Tailwind is or how it works? Read this step by step tutorial about using Tailwind to schedule your images on Pinterest. For better success with Pinterest affiliate marketing, you will need to build confidence and trust among your followers. To achieve this you need to create eye catching images. If you have an eye for design the better. Remember to make your pins stand out in terms of colors and by creating vertical images with a clear message (use readable fonts). Post cohesiveness is also important, so make sure every link/pin perfectly matches your landing page. Attaching your images/products with proper descriptions is a must if you want to be found on Pinterest. Is essential to do your keyword research. Do You Need to Have a Blog to Post Your Affiliate Links on Pinterest? Well, to curb spamming, Pinterest would require you to pin your affiliate link via a blog site or a website. However, after revising their regulations, you can now pin your links directly without going through a website. All you need is your affiliate link, a verified Pinterest account, and pins. What I have found is that you have more chances of success when you redirect visitors to your blog first versus taking them directly to the merchant’s product page. 1. Decide what kind of product you want to promote. 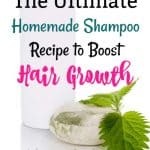 It could be popular, something that interest you, something you have personally bought and use (always the best option) or an item that offers a great commission and you can research about it. 2. Make sure to join affiliate programs that allow to post their products directly to Pinterest. Read their affiliate policies because some companies don’t allow this practice. Amazon is very popular with affiliates but it isn’t clear if you are allowed to post direct links on Pinterest. If you reach to their support a representative will tell you that it is allowed. Then, you talk to another one and it will tell you a different thing. Just to be on the safe side, I never post links on Pinterest that go straight to Amazon’s site. I know some people do it but if Amazon considers that you are breaking their affiliate terms they will close your account without notice. I don’t think is worth the risk. 3. Sign up with the merchant of your choice and wait to be approved. Some programs will approve your application on the spot while others will make you wait for their response. 4. Once you are approved get your referral link. 5. Go to your Pinterest account. 6. Upload your chosen product or related image you have created to promote the item. 7. Copy and paste the URL of the product, making sure your affiliate link is attached. 8. Write a description using related keywords. 10. Pin the product to your related personal board. In order for your pin to be seen by lots of people you need to keep pinning your images consistently (to your own related boards first and then to tightly related group boards). If you are part of group boards make sure that is OK to pin direct affiliate links because many of them won’t allow you to do this. Check this article to find out more information about making money with affiliate marketing. Can you make money on Pinterest? Discover 5 ways you can use to work from home and make a regular income. # If you work at your computer you are at risk of developing bad posture. Learn how to prevent bad posture while at your computer. Display advertising is an incredibly popular way in which many bloggers generate income. However, for display advertisement to thrive, your website must generate a great amount of web traffic. This means that the more traffic your site gets the more money you will make with ads. Since Pinterest is such a big platform it is perfect for promoting your posts and get visitors to your site. Always remember to keep your pins upbeat with an exquisite keyword-rich description and multiple images for wider exposure on Pinterest. Hopefully some of these visitors will click on your ads and you will make money. Find out the best locations on your site to place adsense. Every site is different but on the header, underneath your main headline and at the bottom (end of article) are popular places to add your adds. Nowadays most ad networks will test the best locations automatically, so you don’t need to guess where to place ads on your site/blog. If you are a novice blogger, Google Adsense or Ezoic would be perfect companies to sign up with. As you gain more experience and your visitors and page views increase you could then move on to Adthrive or Mediavine. These ad networks have a minimum of page views per month you need to reach before you get accepted but the RPM (revenue per thousand impressions) is higher. With Mediavine the minimum page views you need to qualify is 25,000 a month and for Adthrive is 100,000. How do I sell things on Pinterest? Did you know that you can actually sell your own product and services on Pinterest? 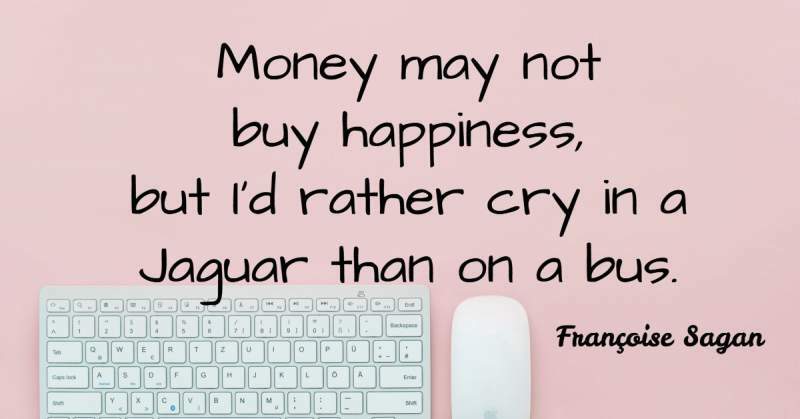 Many people think that only digital products (eCourses, eBooks, and printables) sell. In fact, you can sell both physical products (houses, décor, books, cars) and services (online coaching, virtual assistance, consulting). Selling your own services is an ingenious way of making money with Pinterest. To do this, you just need to pin an image that when clicked redirects to your “Hire Me” page on your site. If you have a product you want to sell, Pinterest is an ideal marketing place. Just pin a clear professional picture of the product you intend to sell or the services you want to offer to one of your related boards. You need an overlay message of what your services are and a description with the keywords you want to be found on Pinterest. # If you have an Ebay or Etsy shop you can direct visitors to your items. In fact, you can send traffic to any online store. Do you have a successful Pinterest account? Why not share all that expertise and get rewarded for it? It may sound counter-intuitive to publicly share all your hard-won skills but look at what you are gaining in return! As Pinterest is gradually penetrating into our marketing fabric it is leaving a trail of knowledge-thirsty users that are willing to pay to avoid the struggles of researching and learning about Pinterest strategies the hard way. So, as an experienced and resourceful Pinterest user, this is where you come in. It is time you got rewarded for your efforts. Introduce yourself as an expert and share examples of some of your success with your blog visitors or to your potential clients. You need to prove your expertise with concrete analytics showing how you moved your account from a lower to a higher level. Recommend your visitors to use the unique Pinterest marketing techniques that worked for you. Creating and selling eBooks and online courses are some of the best ways you can teach your strategies at a fee. Those are some of the ways you can make money from Pinterest. Just think about what you are good at, things you are passionate about or things you can learn and put those ideas into practice. Be active on the platform and learn the best tactics to offer your services/products. If you do this well the money will follow. The list on how to make money on Pinterest doesn’t end there, however. So why don’t you leave a comment below and help me make the list longer? Trust me; out there someone will acknowledge your suggestions just as I hope you have appreciated mine. # Tailwind – A must have tool for bloggers to grow their Pinterest reach and get more traffic to their blogs. # Adventures in Seo – One of my top online courses. Learning the foundation of proper keyword research is essential to succeed on Pinterest and Google. With “Adventures in Seo” you will learn that and much more. # Long Tail Pro Keyword Tool – I have tried many keyword tools but nothing come close to Long Tail Pro. It is not only easy to use but I keep finding long tail keywords that are not competitive and hence easier to rank for. Start with the free trial to get a taste for it. Does Adsense really pay well? A bunch of my friends with blogs say it isn’t really that great. I’m worried that I’ll go to all this work to make some money from my hobby and it ends up being a flop. I tried to become a virtual assistant for Pinterest but it didn’t really work out and I’m not interested in trying it again. I have a very successful Pinterest account so maybe coaching or teaching strategies will work best for me.